I’m not sure why it is, but our Murray Grey cows have never had twins, but our Red Angus cows more than make up for it. We’ve ended up with two sets this year, as far as we know. “As far as we know” is the bad part. With beef cattle, there are a couple of potential problems with twins, and may require a bit of extra management. Some cows have no problem with it – Herefords seem to be particularly adept at raising twins – and they just go on and raise two calves without any intervention at all. Our Red Angus cows aren’t quite as willing to raise an extra calf. What we see most often is that a cow will have a calf, clean it up, nurse it, and then have a second calf. She then cleans up the second calf and totally forgets about the first. If we find these calves, they have a great chance of surviving – mama has gotten them off to a great start and then we just have to keep them going. If you’re in a position to pay very close attention to your cows as they calve, you can find these abandoned twins pretty easily. Often they’ll just stand there and bellow, and when you have 8 cows and nine calves, it’s easy to figure out what happened. 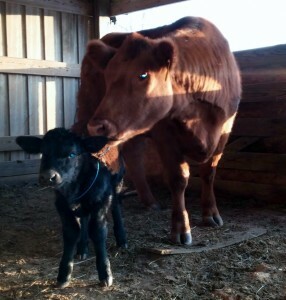 That’s what happened with this calf, the mysteriously name Big Moofin (Muffin). 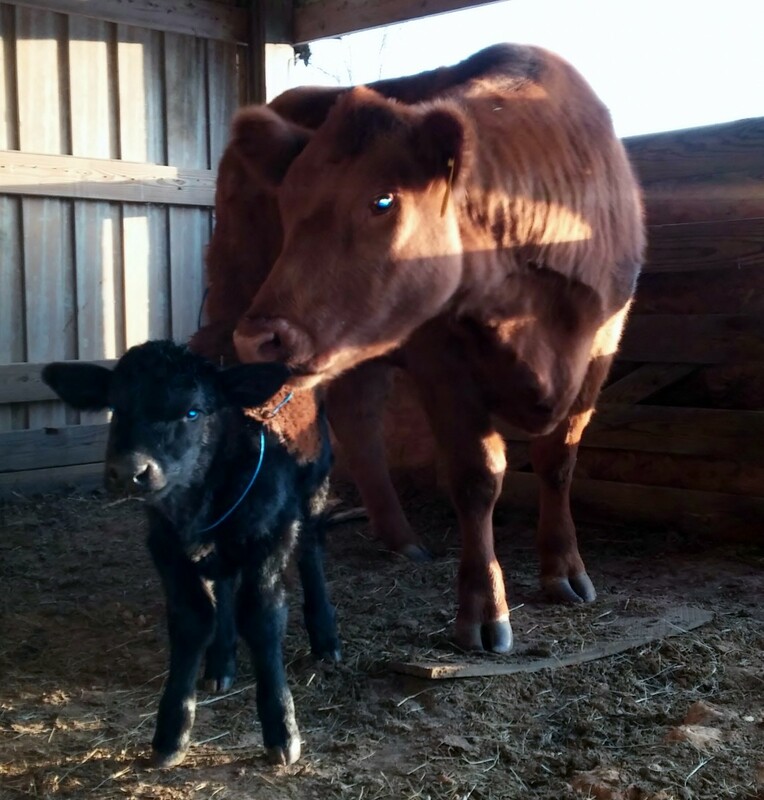 His mama is out being the perfect mama to her other calf, but she totally ditched him. If these twins show up in January or February, they can be pretty easy to deal with. This is the height of the calving season around here and someone is likely to be looking for a calf to graft to a cow who has lost her calf, or a cow that needs a calf. That’s what happened with Emma, one of Marlaina’s show cows. 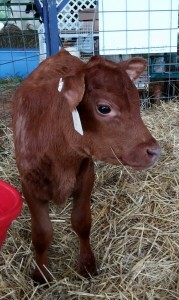 (See “Legal Loopholes” a post on grafting calves – http://pannillsgate.com/wp-admin/post.php?post=210&action=edit). 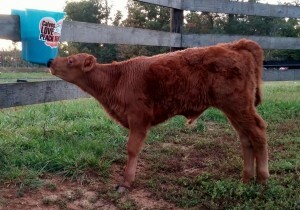 Emma’s calf was born dead, and it took all of three phone calls to come up with this Simmental heifer for her to raise. Another potential problem with twinning is that you can end up with what is called a freemartin. 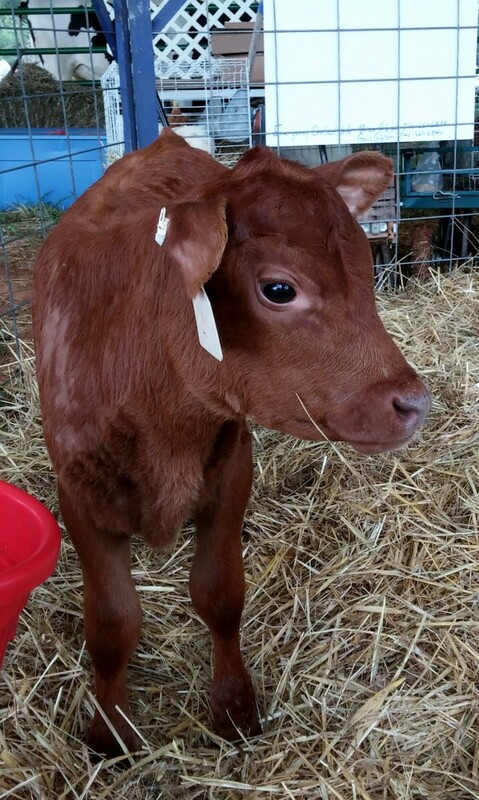 A freemartin is a female calf who has a male twin. In cattle, female calves with male twins most often have reproductive issues, and can’t successfully reproduce. It would be nice to know who Big Moofin’s mama is, so we can make sure that if his twin is a girl, we don’t keep her to breed. And of course, if mama isn’t taking care of a calf, there is always the chance that some predator will find it first. These are the ones we don’t know about, or we find out about them too late. Not only is it a missed opportunity, it’s totally heart breaking. We always second guess ourselves. That’s why we keep a close eye on our cows during the calving season. Because you gotta wonder, who could refuse a face like this?